Calling All Horror Movie Fans! 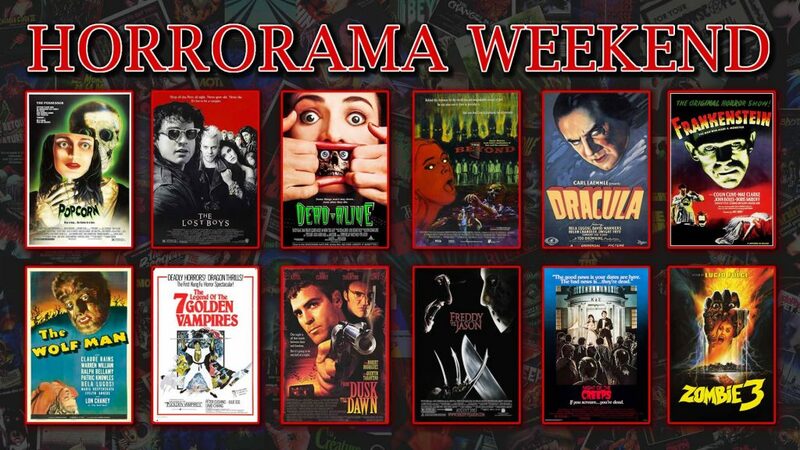 HORRORAMA DAYTON is a horror movie marathon held annually as a fundraiser for a local charity, but it’s also much more! HORRORAMA DAYTON is an all-nite Halloween party, so there’s a costume contest, plenty of trivia, and door prizes throughout the night! As many past attendees can tell you, HORRORAMA DAYTON is a unique experience. In addition to the films themselves they play tons of classic trailers, music videos, cartoons, and other shorts during the intermissions! Best of all is watching horror flicks with a crowd! This year HORRORAMA DAYTON has expanded to three shows over two days at Danbarry Huber Heights! On Friday the 12th at 7:00pm things kick off with a program we’re calling FRIDAY NIGHT FRIGHTS, featuring four fantastically frightful films and classic trailers! On the morning of Saturday the 13th at 11:00pm they’ll hold their first ever MONSTER MATINEE, an all ages program featuring the Universal Monster classics DRACULA, FRANKENSTEIN, and THE WOLF MAN, plus classic trailers and cartoons! These two programs all lead up to the ANNUAL ALL-NITE HALLOWEEN PARTY starting at 6:00pm. In a addition to five terrifying tales of the macabre, there will also be contests, prizes, and plenty of fun to be had by all until the early hours of the morning! This year proceeds from HORRORAMA DAYTON benefit Rescue Me Inc. and All Creatures Great and Small Emergency Pet Resource, two great organizations which are run through Sulphur Grove United Methodist Church in Huber Heights. So pass the word and make plans for a scary good weekend! Tickets are available now at the Danbarry Huber Heights box office and online at horroramadayton.weebly.com! It’s going to be a scary good time!